Speed and Strength is many things, but practical isn’t one of them. Until now, that is. With the new S&S Chain Reaction collection, a step has been made into the multi-season ring and goes for the Tyson knockout. With the Speed and Strength Chain Reaction Textile Jacket and Chain Reaction Gloves we have a near-complete set of 3 season warm weather gear. With ample venting and a waterproof liner, the Speed and Strength Chain Reaction Jacket is the perfect sport-touring or commuting jacket for riders not keen on turning around when stormy clouds show up. At home on any sport commuting machine, the Chain Reaction get-up will keep you dry in all but the nastiest of rain storms and comes with a CE rated back protector standard. There’s no need to dish out extra green to protect your spine. This is a good thing, because I hear spines are rather important. 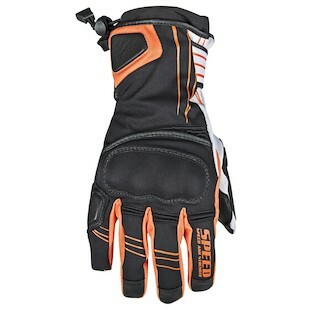 The Speed and Strength Chain Reaction Gloves gloves have a similar waterproof liner to the jacket, only they don’t have those fancy zip-off textile panels. Bummer. Hard knuckles and leather reinforcement on the palms mean the Chain Reaction Gloves will be at home dodging traffic on the way to the office, but probably not road racing. 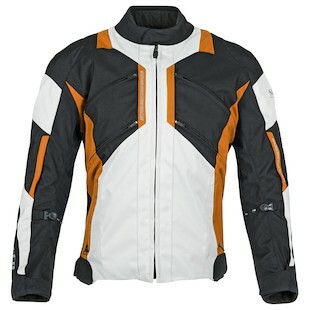 The Speed and Strength Chain Reaction Textile Jacket and matching Chain Reaction Gloves offer a great entry-level introduction to multi-season riding gear. If the name is to be taken literally, there’s bound to be other pieces of gear in this same fold - but Speed and Strength is way too cool and mysterious to release that information. They could tell you, but then they’d have to kill you. But really, if Maverick rode motorcycles (he did, but in the 80s - before gear was cool), he’d probably wear Speed and Strength.